The Gordon Ramsay Mothership seems to be taking a lot of abuse lately: first, Restaurant Gordon Ramsay closed its doors for a three-month renovation; second, Gordon has to give The Spotted Pig back to his semi-nemesis Mario Batali; now, the Evening Standard is reporting that he and the famous Claridge’s Hotel are parting ways after 12 long years. 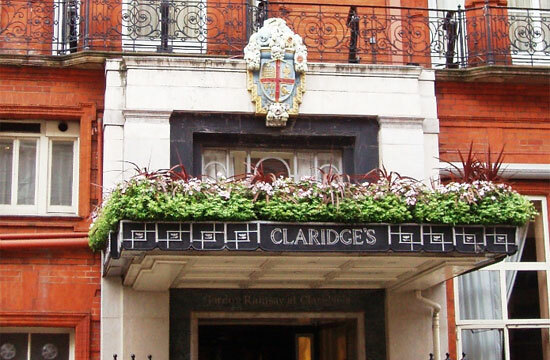 [Claridge’s] is widely seen as having lost its way in recent years. It lost its Michelin star in 2010 and was rated second in London for “most disappointing cooking” and fourth for “most overpriced restaurant” in the latest Harden’s guide. The departure marks the latest upheaval for Ramsay since he sacked Hutcheson in October 2010. It led to a lengthy legal battle between the two men that caused a bitter family split. After contract negotiations broke down between the two parties, both Claridge’s and Gordon Ramsay Holdings released statements saying (in essence) that of course, it was totally mutual; of course they wished each other the best, but it was kind of the other person’s fault to begin with. Would it be cliche to compare this entire endeavor to a Taylor Swift song? Insipid enemies, boring relationship, unfulfilled potential, predictable conflict, meh resolution? Would it be lazy writing to embed “We Are Never Ever Getting Back Together” below? Heck, would it even be fitting?